Unable to play music from Apple Music Web Player? Apple Music expanding to Windows and Mac OS as a web player will unavoidably bring along more sophisticated errors regarding network connection, content protection for web browser online streaming, etc. We can run into Apple Music web player error, but we can always fix them here! Apple Music Web Player Errors on Mac/PC Workaround Get two-in-one Apple music streaming player for Mac/PC to listen to online live music streamings and play songs on computer without DRM. Listening to Apple Music without iTunes on a web browser is a wish longing to be realized by all Apple music subscribers, and today, the official apple response finally arrives at https://tools.applemusic.com/ in 2018 as an Apple Music Web Player. How to use Apple Music Web Player to Play Songs from A Web Browser without iTunes? Any platform, Windows, macOS, chromeOS, iOS etc, as long as your device can access network with a browser, you can play Apple Music without iTunes right away. 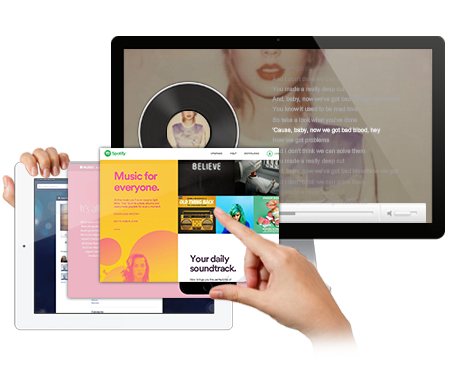 Though it is an Apple Music Marketing Tools, don't hesitate. This is the right place. Step 3: Click the "sign in" button on the right top corner of the song. Step 4: Sign in your Apple ID with Apple Music subscription. Step 5: Click any song or playlist from the category on the main window you like for playback, be it Music Playlists, Hot Tracks, New Music. 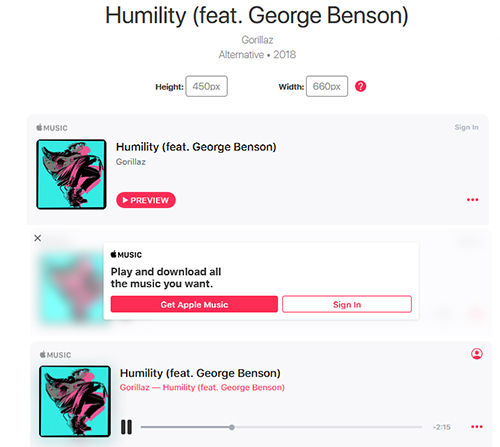 With Apple ID and Apple Music account signed in, the full length singles like Humility by Gorillaz can be easily tuned in instead of a preview 20s version. However, when I try clicking a playlist under the "New Music Playlists" for listening to Songs of the Summer in loops, there's no playlists interface coming out. No matter how many times I refreshed the interface, restarted the Chrome browser, changed a browser and re-login-in, there is a big nothing hanging on the web page. The actual fact is that Apple Music Web Player does not support playlist playback from Windows and macOS web browsers, yet. To use Apple Music Web Player, you need to switch to a mobile device! And the mobile device is also restricted to iOS device for now. Apple Music Web Player not working on Windows/Mac Workaround: Use 5KPlayer, your loyal music player friend! Step 1. Free download Apple music web player alternative - 5KPlayer above, install and launch it on your Mac or PC. 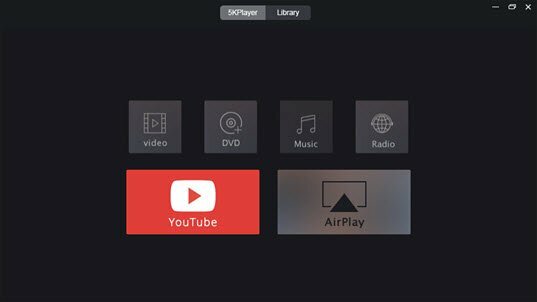 5KPlayer is a free Apple Music Web Player alternative superb in online audio live streaming, youtube video music downloading, as well as audio music streaming. Step 2. Choose the music/playlist you want to listen to from your iPhone iPad Apple Music library. Step 3. Swipe up from the bottom of your iPhone to open Control Center, and then tap AirPlay icon to start Apple music streaming to 5KPlayer equipped computer with speakers. Notice: Make sure that your computer and iPhone are in the same WiFi network. 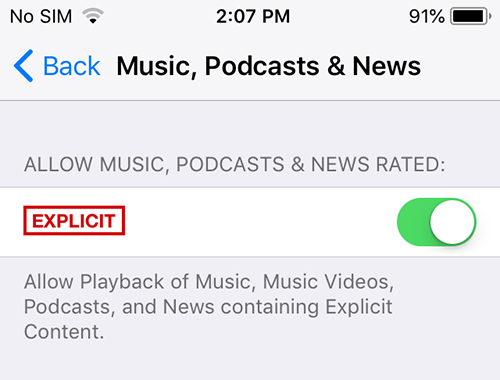 How to Fix Apple Music Web Player Explicit Content Restriction on iOS? After signing in this Apple Music Web Player, the portal is open for you to enjoy online Apple Music streaming for endless songs. However, you will find that certain singles and songs in a playlists are not playable. And they share a common feature - tagged with "E" symbol. The E symbol followed by the music title on Apple Music Web Player as usual means "Explicit", including songs with foul-mouthed words and swears. You can enable or disable explicit content within "Settings" on your device and here is how. Note: You can also disable the Restrictions entirely by selecting the "Disable Restrictions" option at the top of the Restrictions interface. 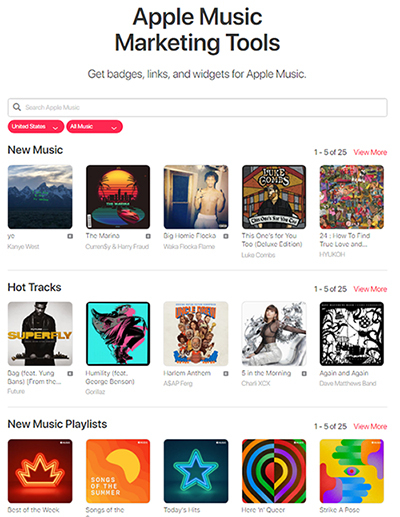 Searching for Apple Music Windows 10 download free 2019 to get an Apple Music desktop version? Here you can do that.